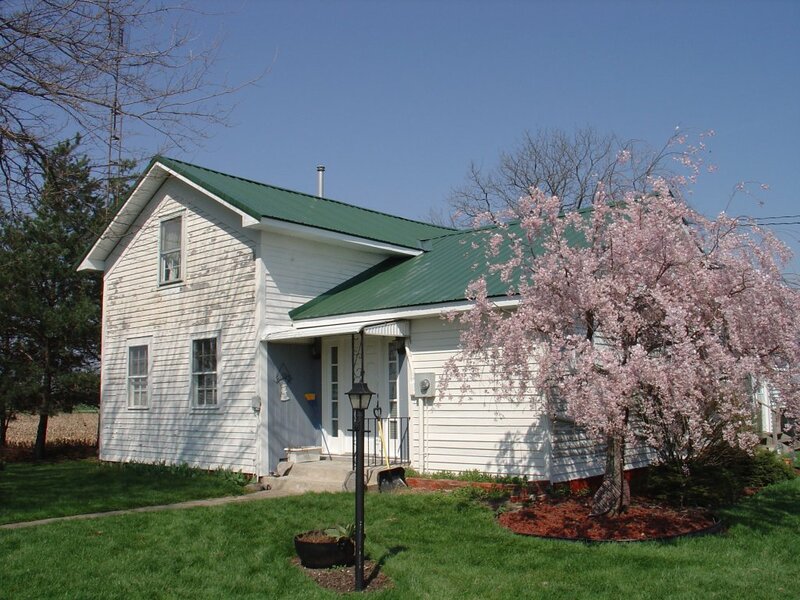 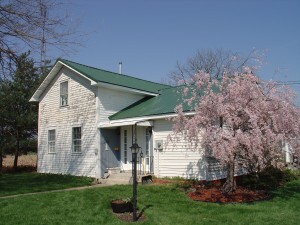 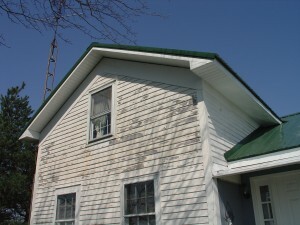 This is a home in the rural Defiance area. 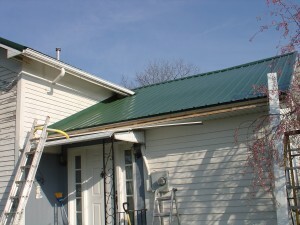 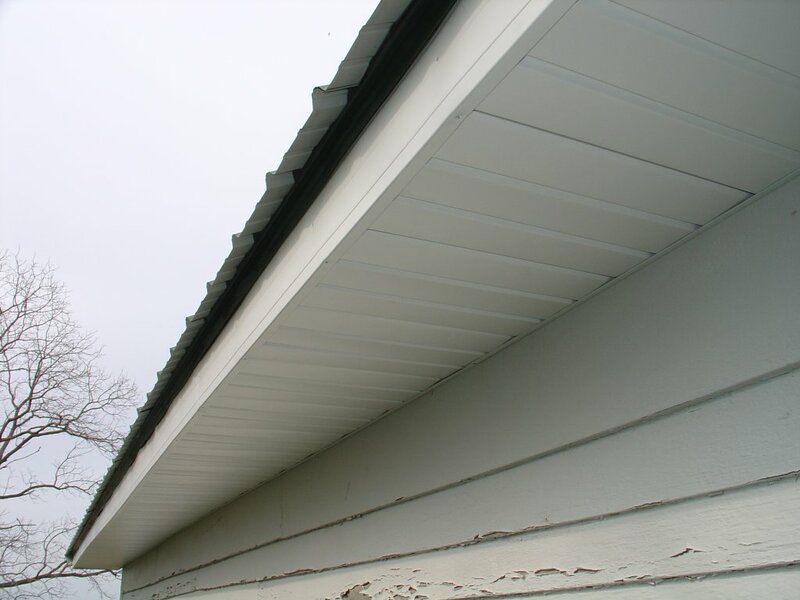 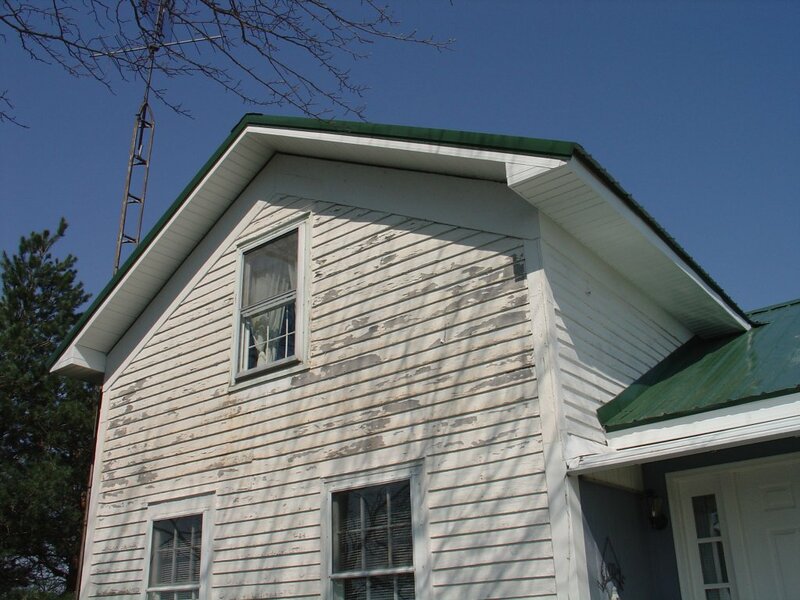 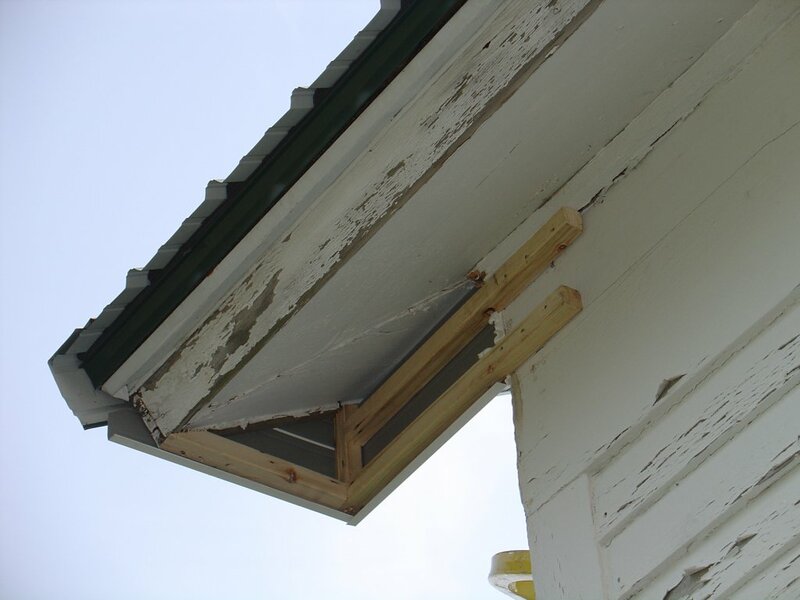 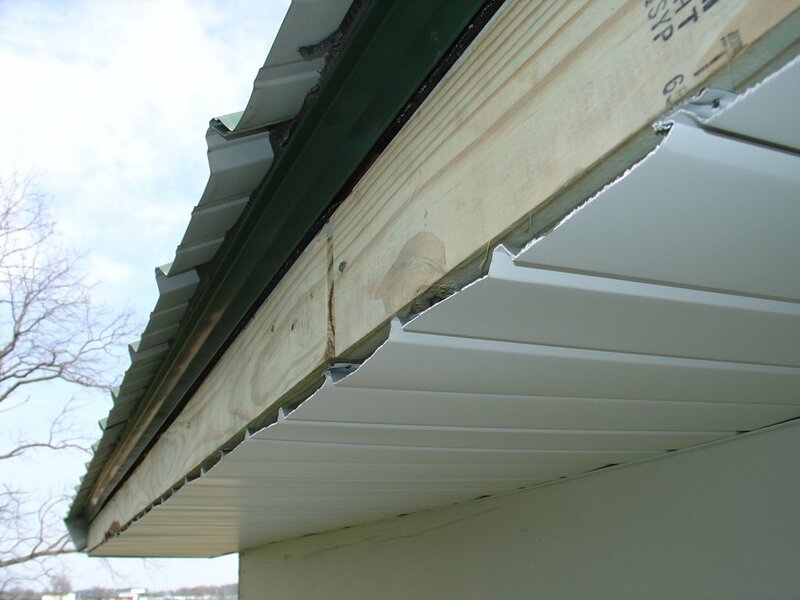 We are installing white aluminum soffit & fascia around the entire house in an effort to help the homeowner go maintenance-free. 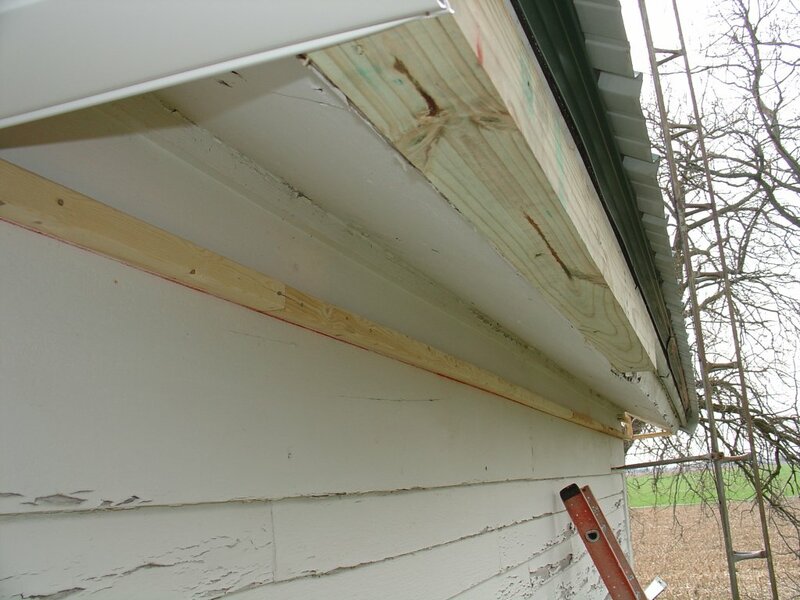 The homeowner is also having new gutters installed in the near future, so to help with this process, we are building out the current fascia board 90 degrees to the ground. This particular application requires a 4×4 post split evenly down the middle at a 45 degree angle. Check the pics below!